So, for the most part, the cloth diaper world seems aimed at babies older than 3-4 months. Why this is, I’m not sure, but when I was researching diaper brands to purchase, nearly all of the reviews I saw were from mothers with babies that were at least 3 months old. 3-4 month babies are (obviously) a lot bigger than a newborn, so a diaper that works for that size will probably not work for a newborn. When I was researching cloth diapers, I saw many of the brands had one size diapers that were supposed to fit babies from 8 pounds up. I knew my baby was going to be over 8 pounds (she was 8 lbs. 10 oz. ), so I figured I could be safe with one sizes. Just in case, I also purchased the Kawaii Baby newborn Pure and Natural diapers that were designed for babies from 6-15 pounds. In my first batch, I had the Kawaii newborn diapers, some prefolds and covers, and 3 Maci Grace one size diapers. We started diapering Bo with cloth when she was about 4 days old. I started her off wearing the Kawaii Baby diapers. They were amazing and I loved them. They fit her around the legs perfectly and did not leak at all, even when she was on her stomach. We also used the prefolds for night with a wool cover. This was a huge hassle until I bought some diaper fasteners. Then it was easier. As far as the one-size diapers go, the Maci Grace diapers fit her perfectly and are amazing. I love them the most of any of my pocket diapers. We have only seen one leak from a Maci Grace diaper; and that was because she had to go about 6 hours without a change, had a blow-out, and only had one insert in the diaper. I heard that Alva diapers were just like Maci Grace diapers, only cheaper, so I bought some of them. They are NOT the same. The legs on the Alva diapers are much larger, and at 11 pounds, Bo is still too skinny in the legs for them to fit. I have hopes they may fit when she is too large for the Kawaii diapers. If you want to try one-sizes from the start, only purchase one or two at a time, because some brands may fit, but others probably won’t. I definitely recommend newborn pockets or prefolds. Prefolds have been surprisingly easy to use and fast to change. Placing a cloth diaper on a newborn is not the easiest thing ever. Floppy babies make it difficult to dress in any way- especially something that has multiple layers. Eventually, I found the easiest way to diaper a newborn with each of the diaper kinds we had. Pocket diapers: Pre-stuff before placing on the baby. Make sure the liners are flat, or they may leak. Do NOT use any diaper cream. Check that there are no gaps around the legs or belly or they will leak around scrawny newborn legs. 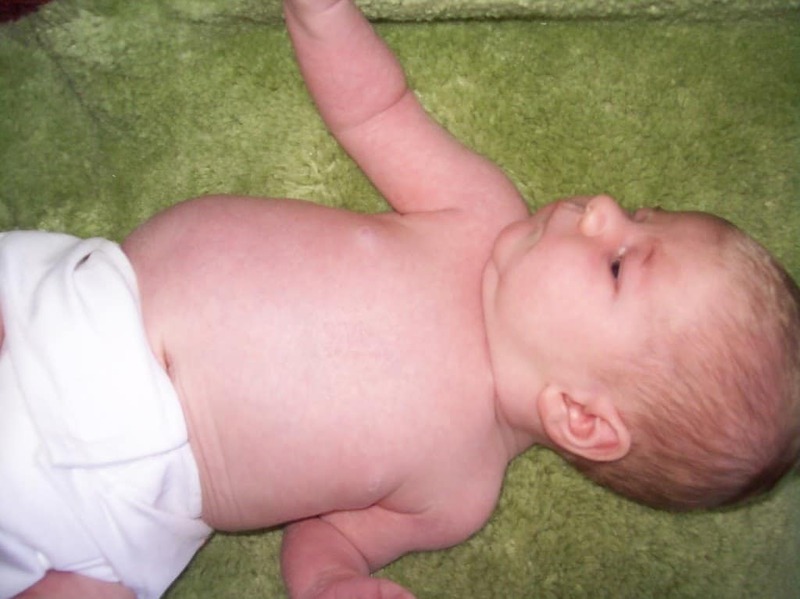 Prefolds and covers: Fold the diaper in thirds and lay it inside the diaper like an insert. Don’t bother opening and pinning. They ooze onto the cover about the same either way. I can usually get 3-4 changes from one liner before it gets messy. Wool covers: Pin the diaper around the baby with some kind of fastener. Then pull up the wool cover like pants. Have you tried cloth on a newborn? What are your favorite brands?